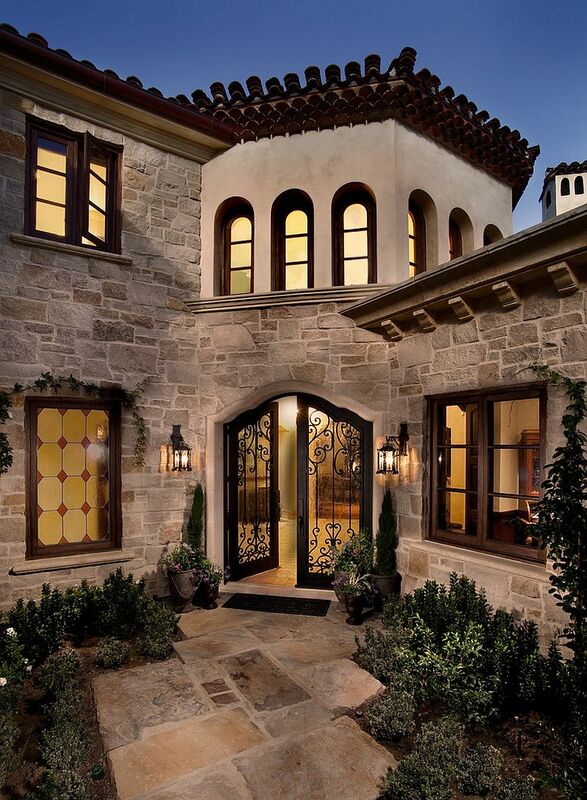 The elegant array of Mediterranean entry ideas on display here casts a spotlight on everything ranging from the walkway and the landscape that leads to the front door to the door itself and the room that sits beyond it. 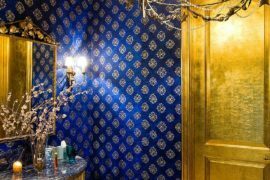 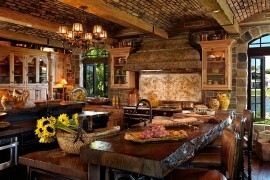 Décor, lighting and styling – it is the finer details that make the biggest difference. 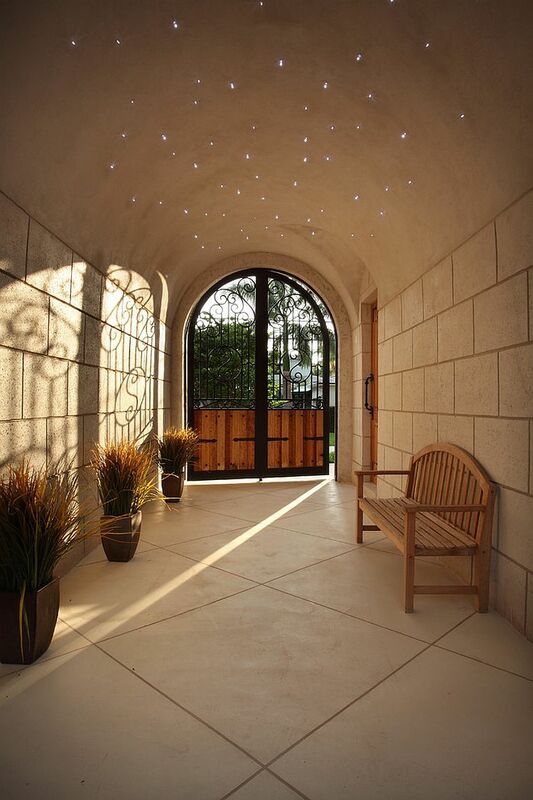 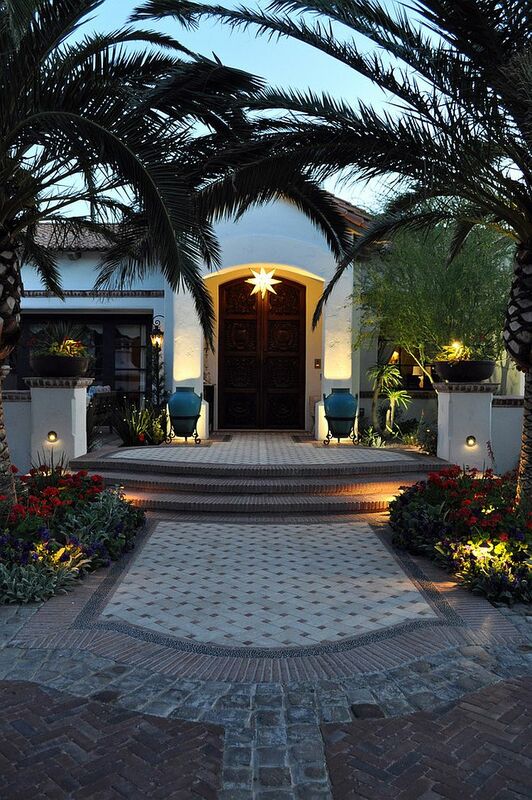 As we alluded to earlier, everything starts at the entryway, and a Mediterranean-themed design allows you to add exotic plants, dreamy lighting and a winding walkway to your front garden. 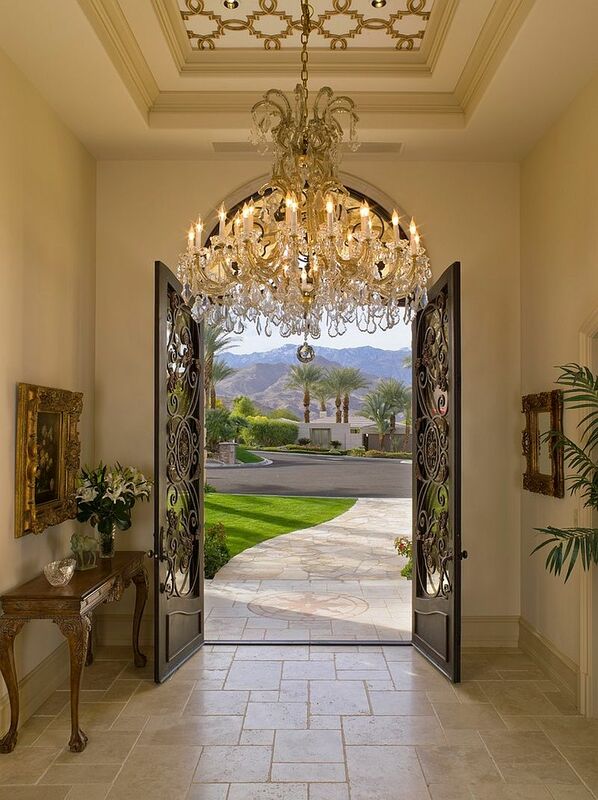 If you are not blessed with a front lawn, then the structure of the home, ornate decorations and a gorgeous wooden door with classic Tuscan style can usher in that traditional vibe. 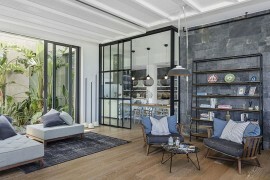 For a more modern-looking entry, curved glass doors with dark, steel frames are apt, and they allow you to combine Mediterranean with contemporary, minimal and even industrial styles. 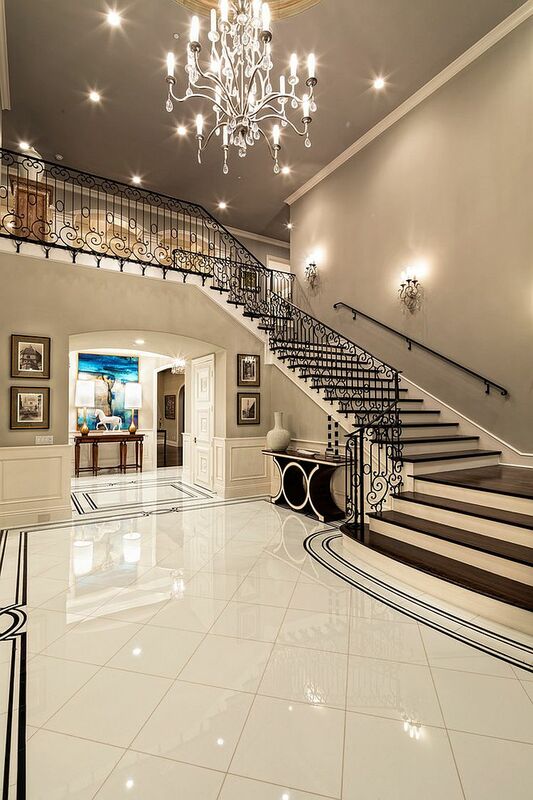 One of the inimitable and enduring features of Mediterranean entry rooms is the grand staircase, and it is a staple of the style that has survived centuries and still seems as popular as ever! 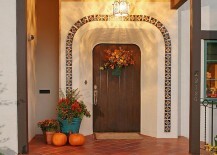 Of course, a feature like this requires a home spanning several levels with the lowest being used as an exclusive entry. 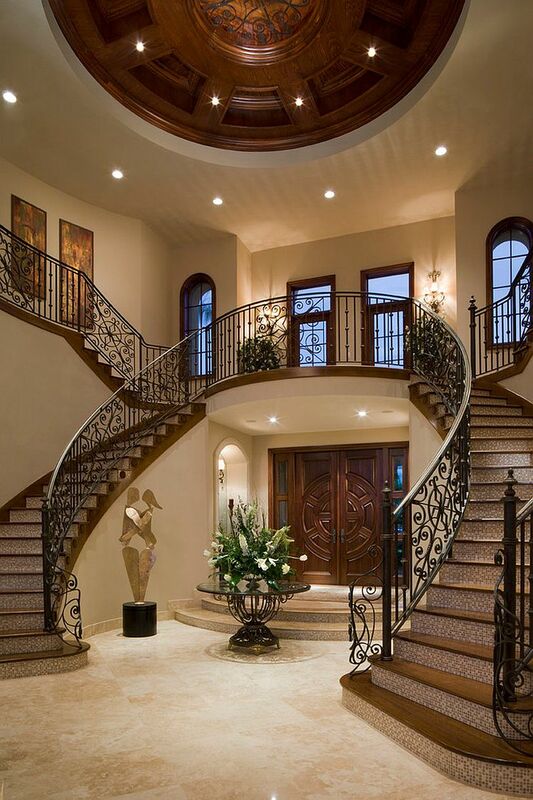 The twin staircase design takes this grandeur a level higher, and with a stunning chandelier, maybe a malachite center table and a water feature or two, you have a truly royal entry that leaves your guests spellbound. 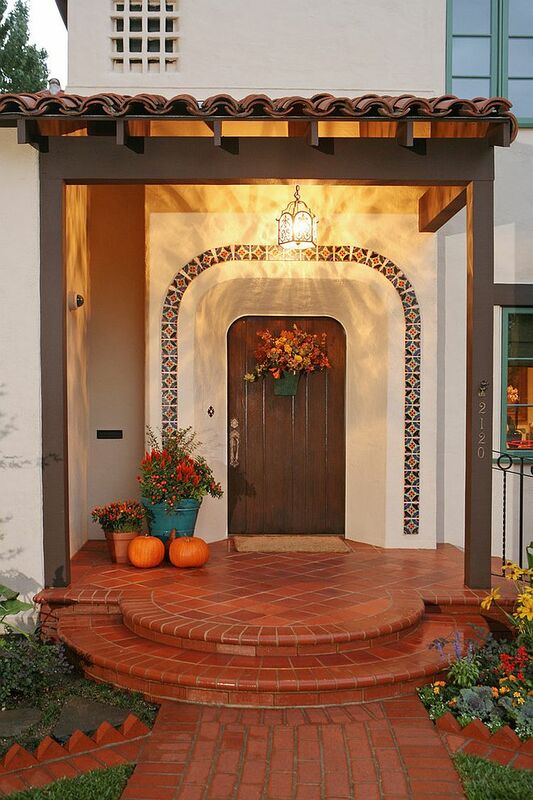 Okay, so your home does not have a charming front yard and you simply do not have enough space or even a budget large enough for one of those opulent, Mediterranean-inspired entry rooms. 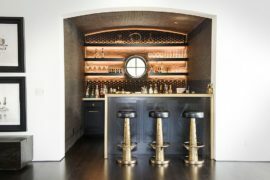 Not to fret, as there are still plenty of options that are far more cost-effective and still bring along with them the old world Tuscan charm you are after. 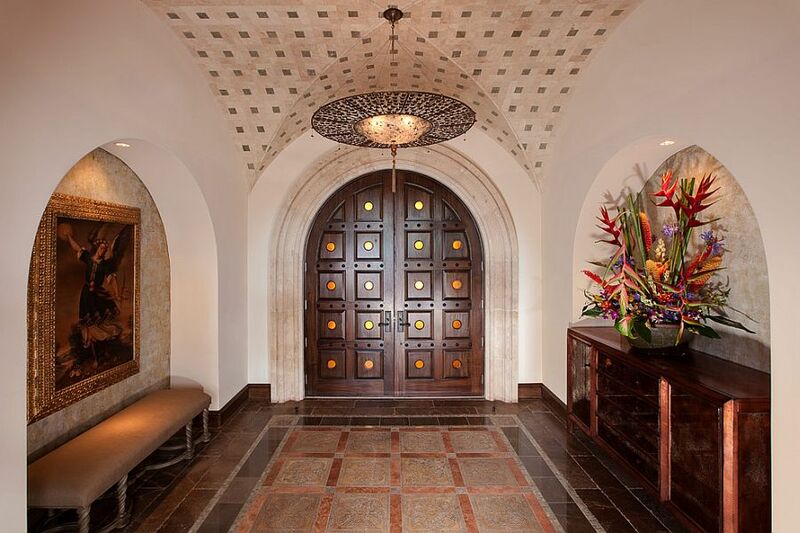 An ornate, arched ceiling is a good starting point, and if you can give it a hand-painted, colorful mural, then it is even better. 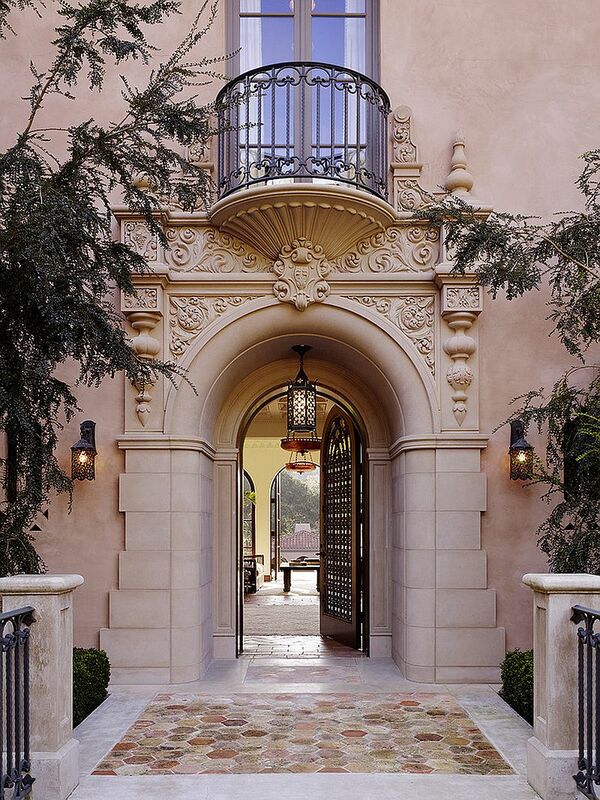 Arches are a very important part of Mediterranean design, so make sure that your windows and doorways also accentuate this aspect. 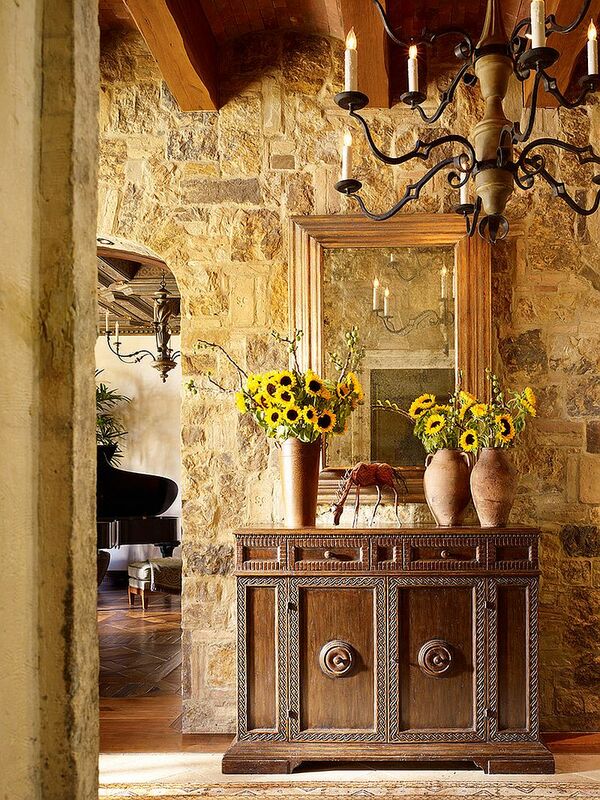 A lovely console table with traditional Italian charm in the entry room is as much a functional addition as it is aesthetically pleasing. 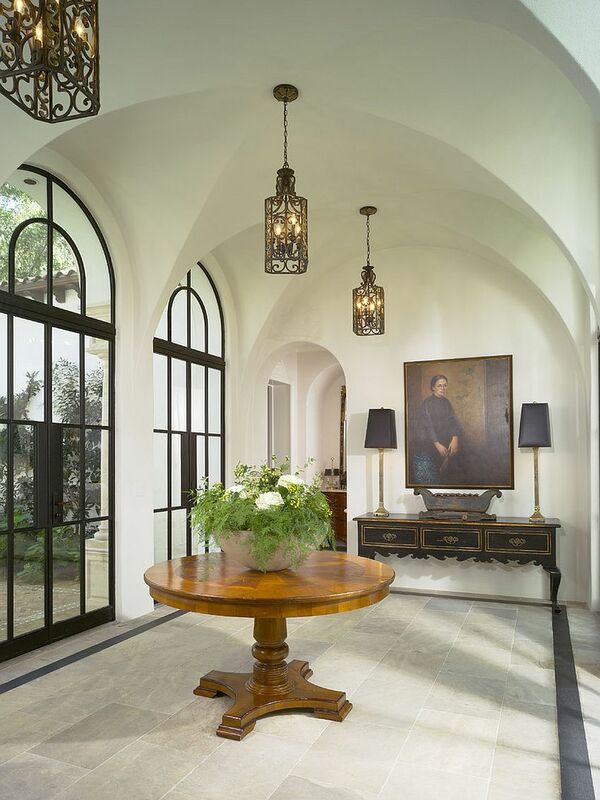 Lantern-styled lighting and wall sconces trump modern pendants here, while antique bowls and vintage decorative pieces are perfect for this elegant space. 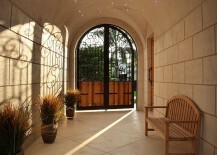 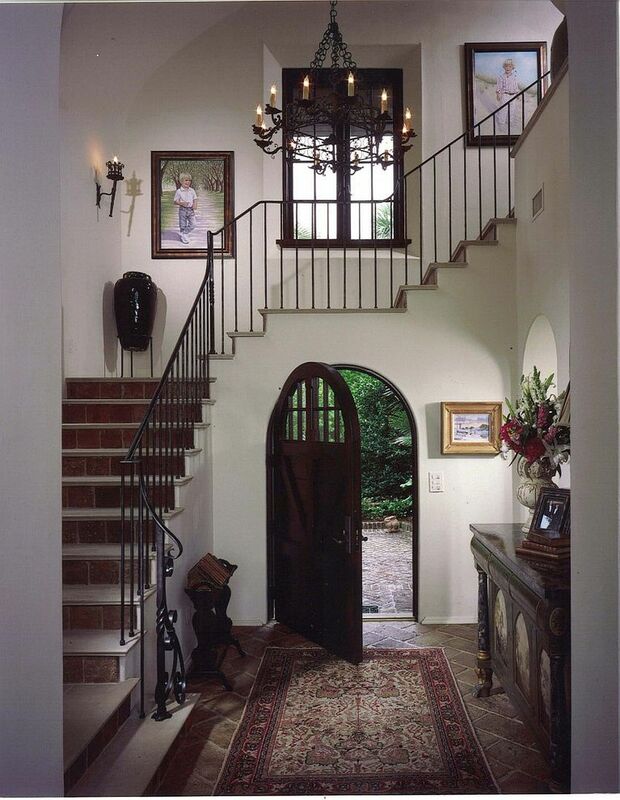 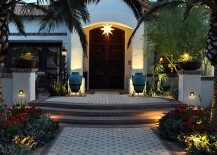 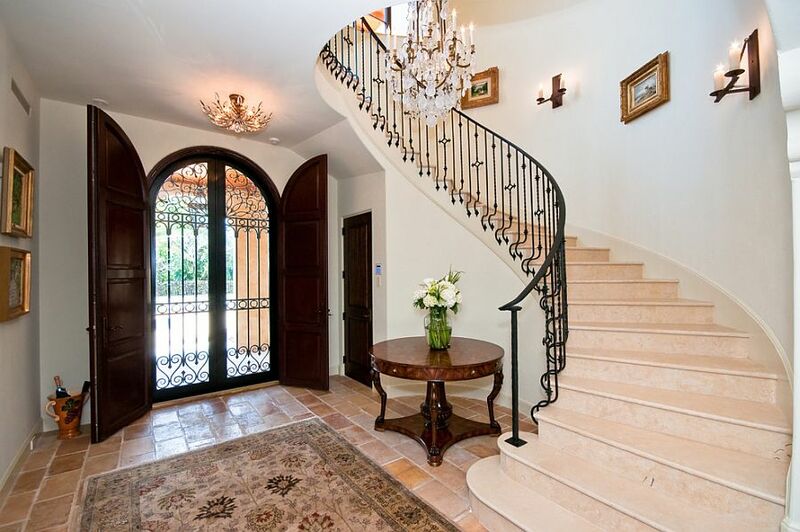 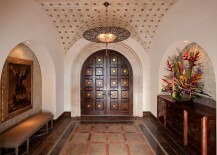 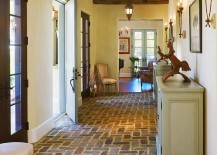 Do not forget the importance of natural greenery when planning for a Mediterranean entry room. 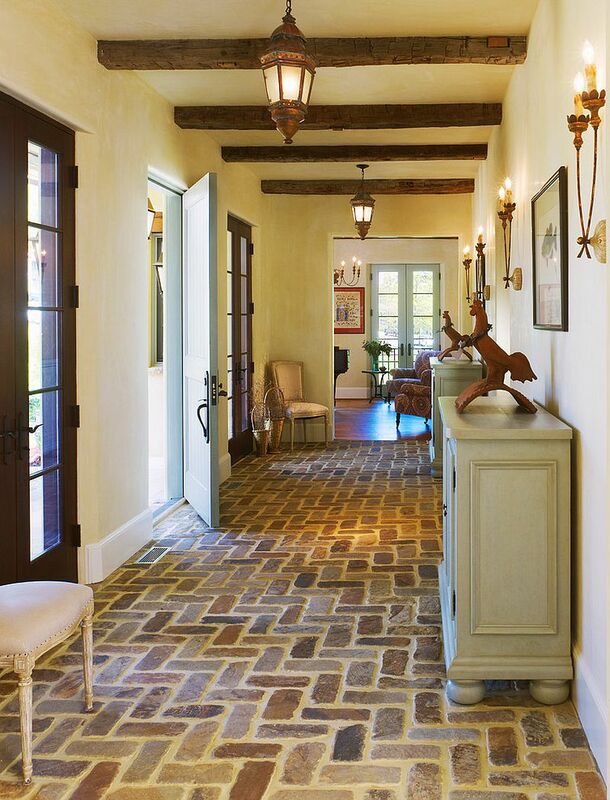 A Mediterranean entry does not mean you need to stick to this style throughout the house, and an entry with modern overtones allows you to easily transition into a more modern space with ease. 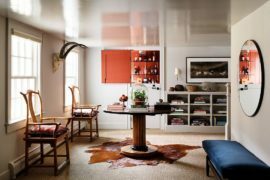 The idea of shunning bright hues and warm earthen tones in favor of more polished finishes in gray is one way to go about it. 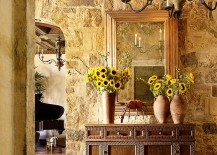 Doors, console tables and wall art can also facilitate this changeover as you combine more modern pieces with classic Tuscan finds.